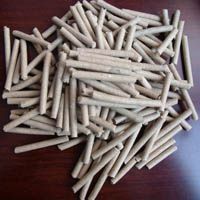 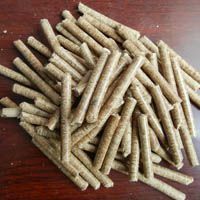 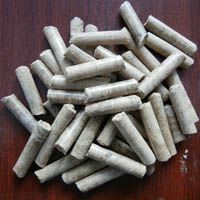 Diesel pellet mill is a good pellet making machine for people who want to save cost on making wood pellets or do not have easy access to electricity where they produce pellets, for example, in their farms. 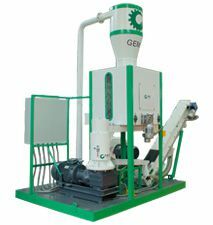 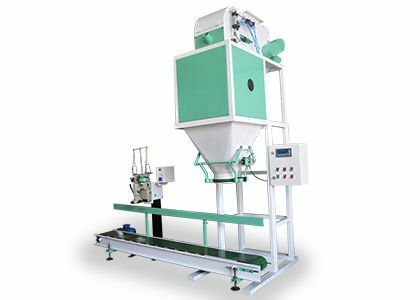 The diesel pellet machine is composed of clutch assembly, gear box, main spindle box, roller, die, upper body, feeder, diesel engine and base. 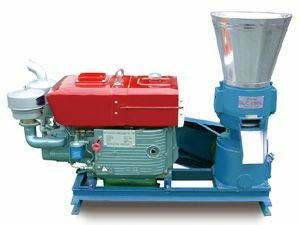 First of all, it can solve your problem of lacking electricity while keeping the same productivity. 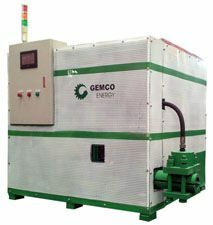 Not all areas are able to get electricity, especially in the fields or rural farms. 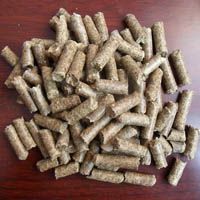 But this inconvenience cannot stop us from wood pellets production! 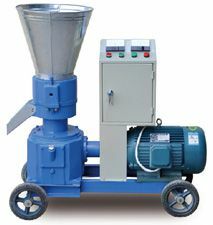 The diesel pellet machine has compact size, so you can place wherever you need. 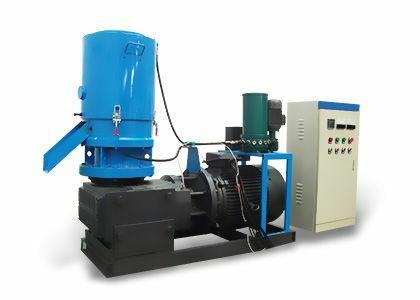 It is also cost-effective, since it uses low price diesel oil. 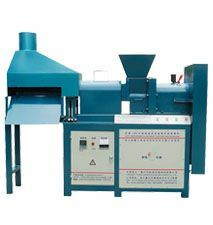 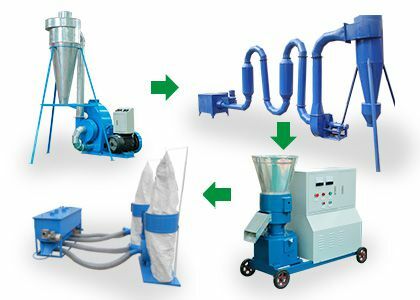 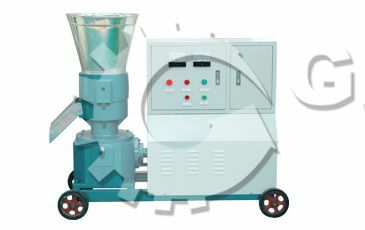 Secondly, diesel pellet mill can process various kinds of raw materials like sawdust, wood chips, straw, sunflower husk, biomass, stalk, etc. 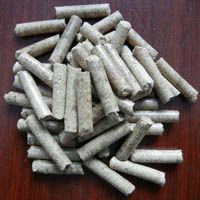 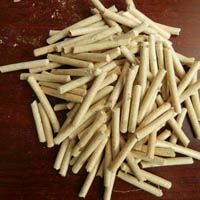 No binder or additive is needed in pellets making process. 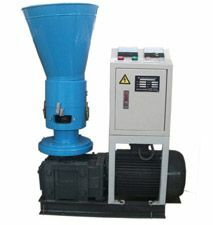 The diesel pellet mills can be equipped with a 24 Volt electric starter if needed by customer. 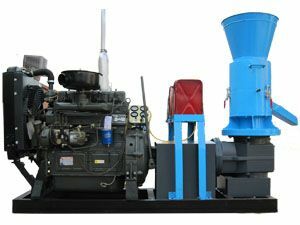 The large horsepower diesel engine is installed with 2 batteries, so that the machine is easily started in cold winter. 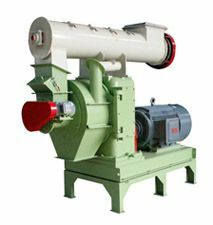 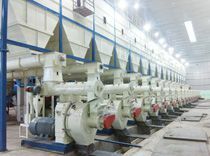 The transmission shaft of the diesel pellet mill is supported by two tapered roller bearings that can withstand larger two-way axial force and radial force to ensure the safety of the structure. 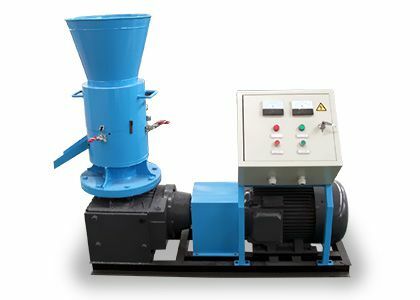 The diesel pellet mill is also equipped with a clutch to ensure quick stop in case of emergency.